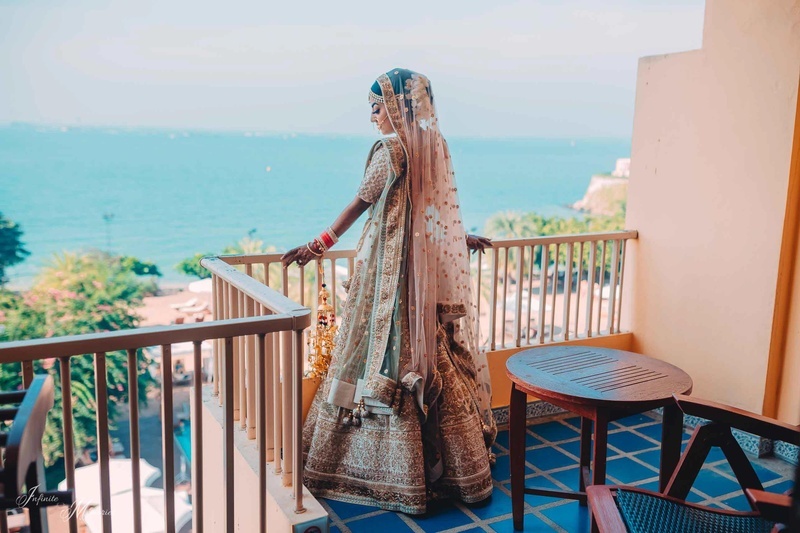 Simi and Ketur took their vows in a Pattaya, Thailand wedding in a mandap that overlooked the ocean! 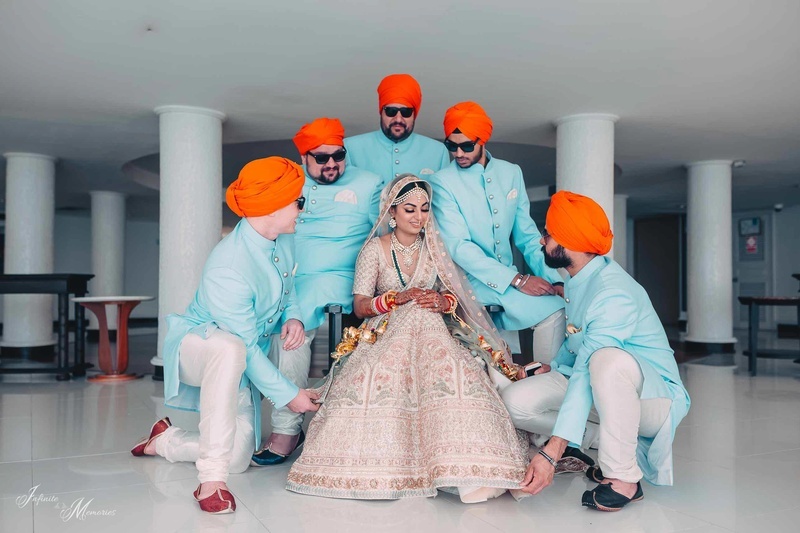 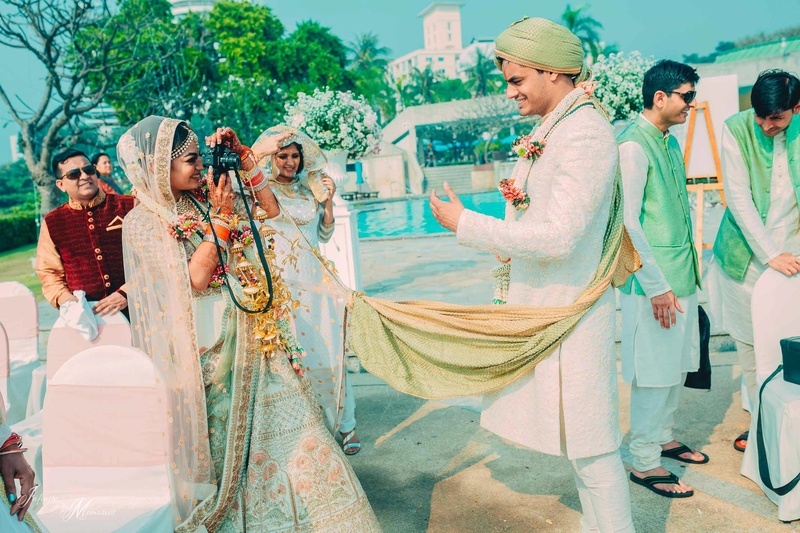 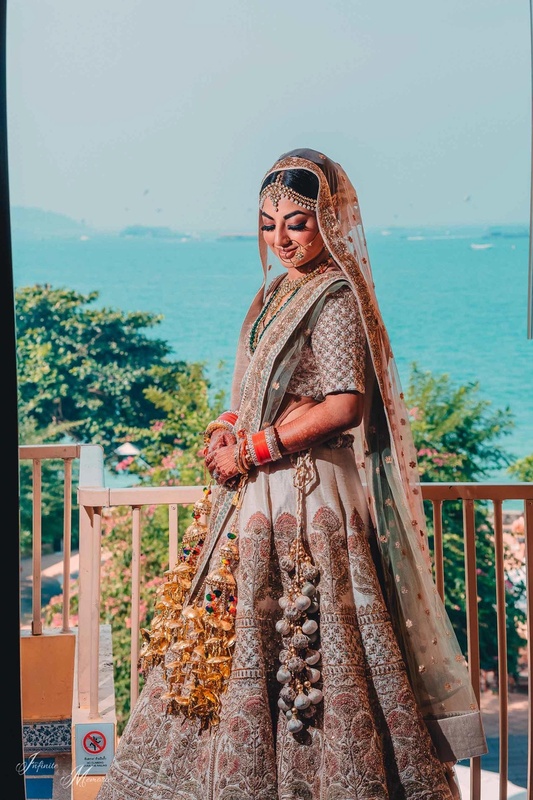 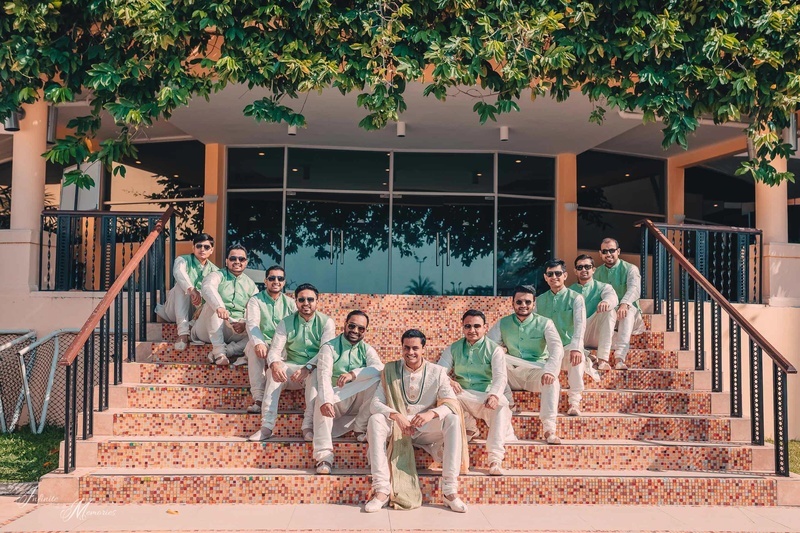 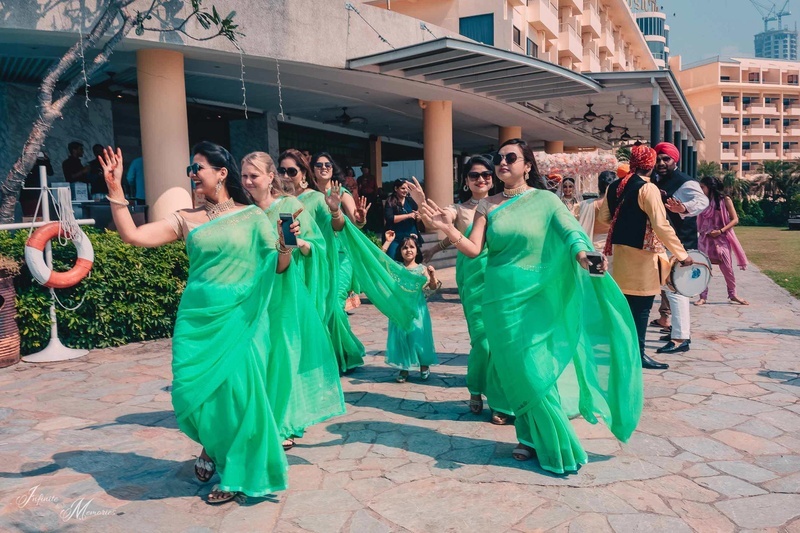 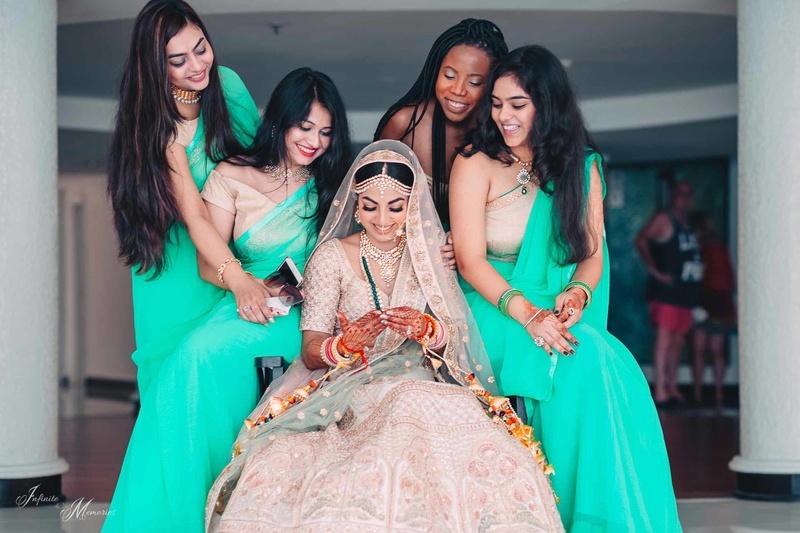 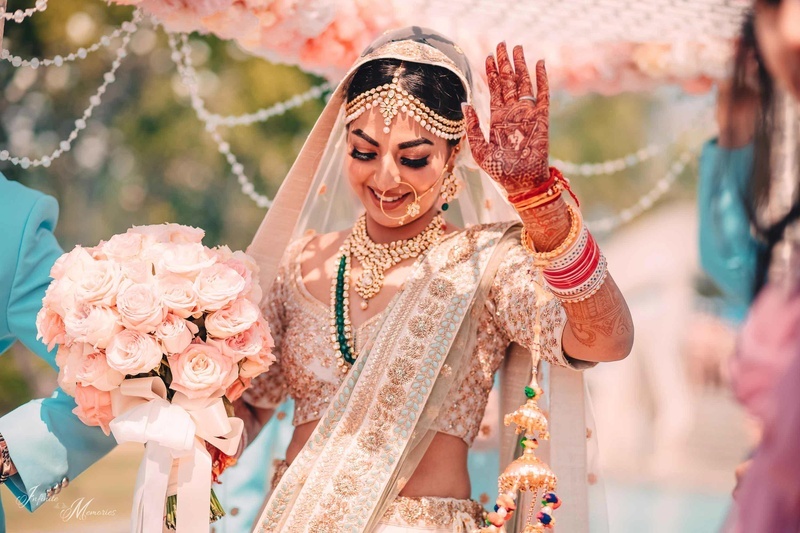 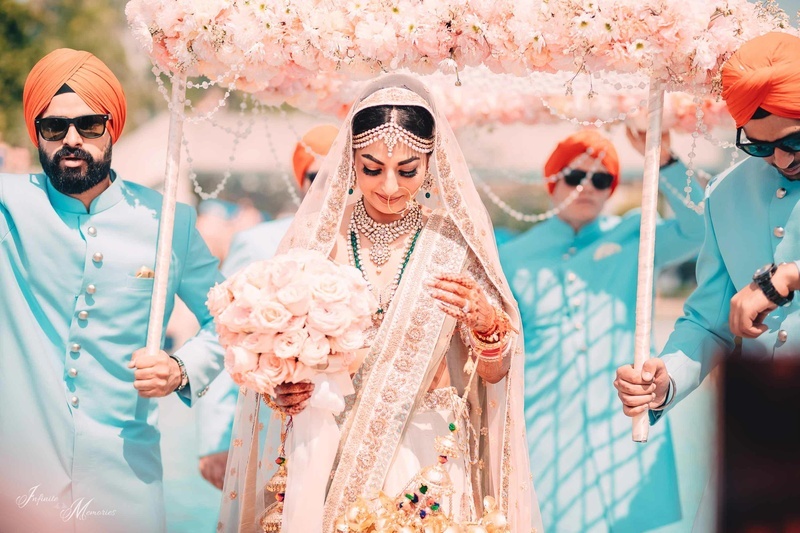 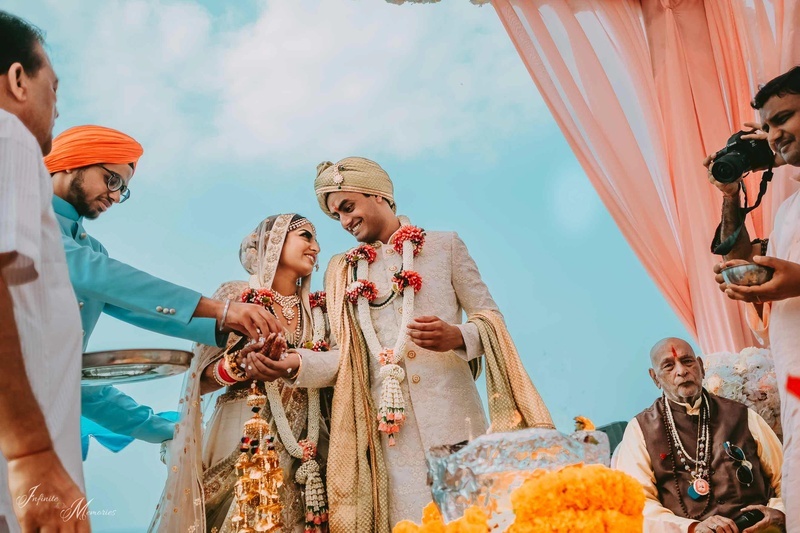 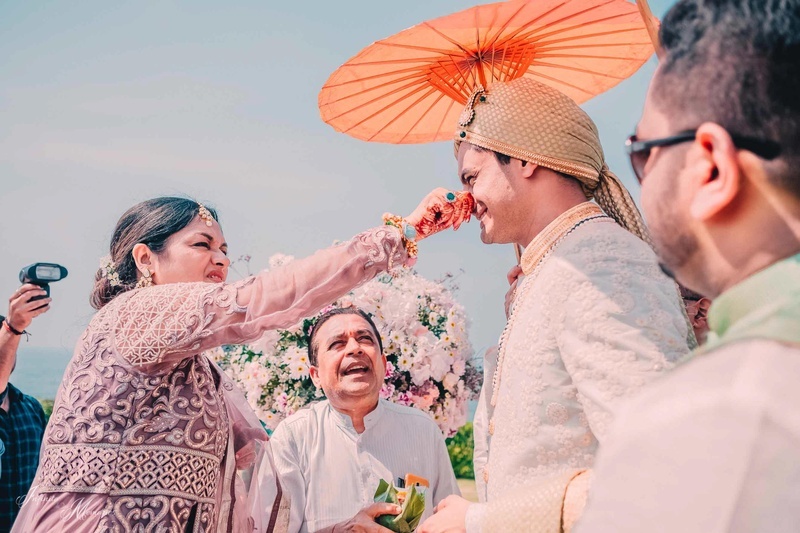 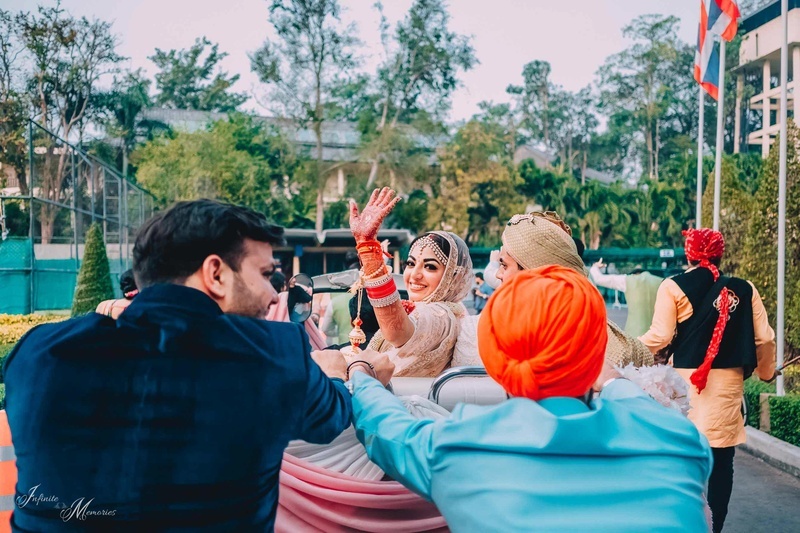 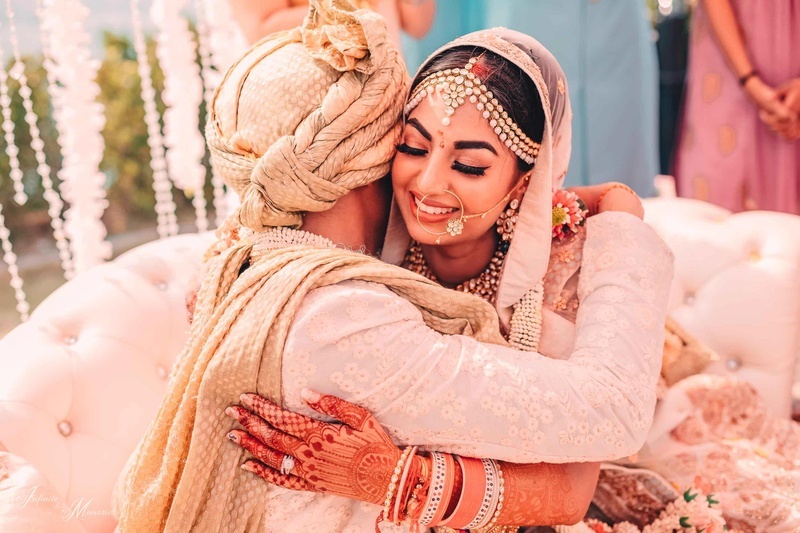 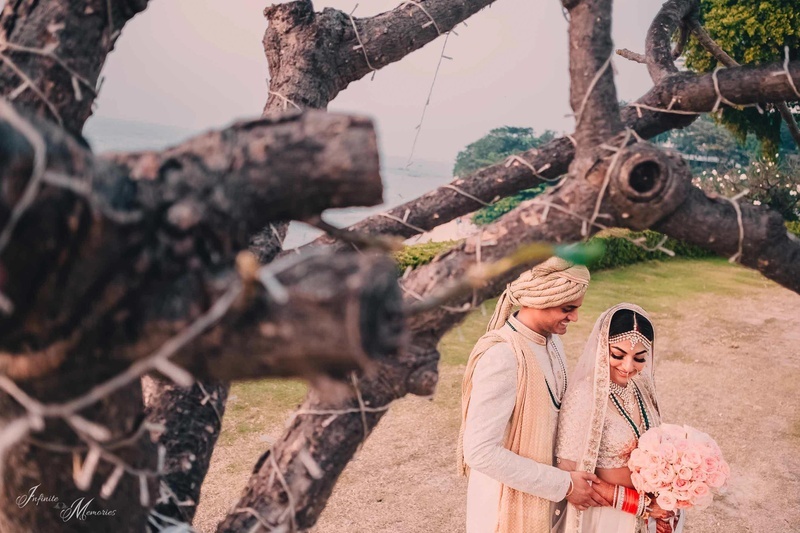 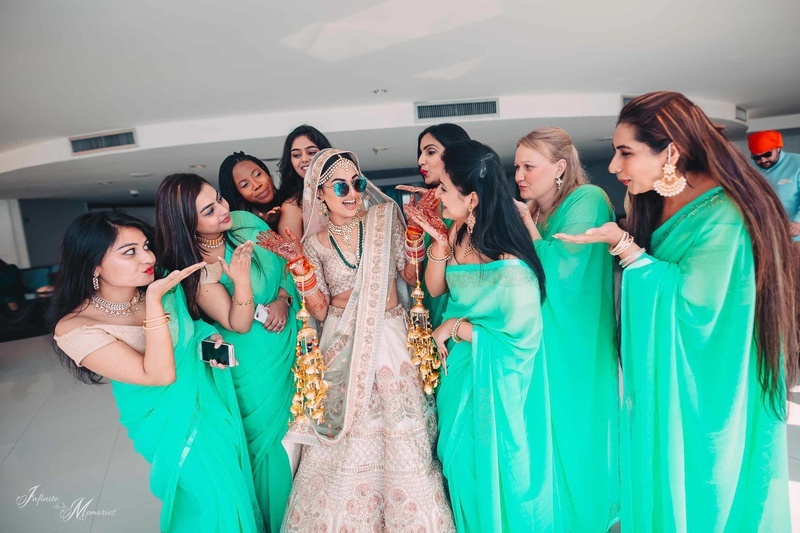 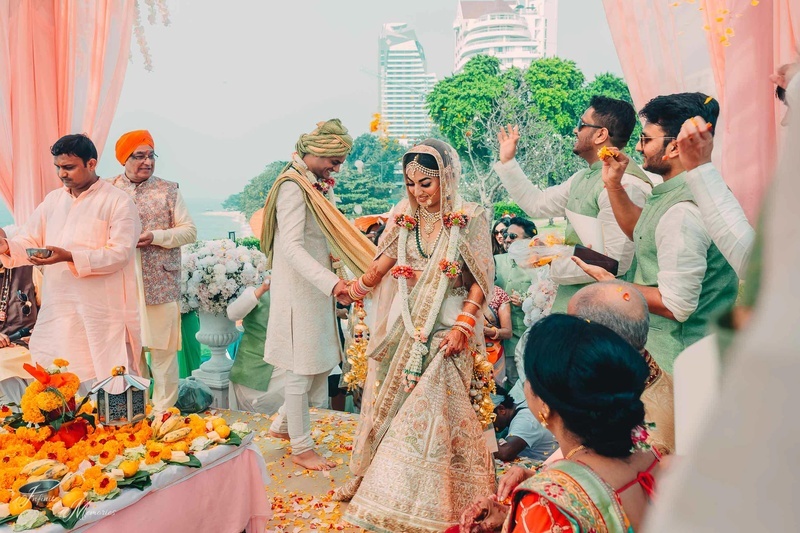 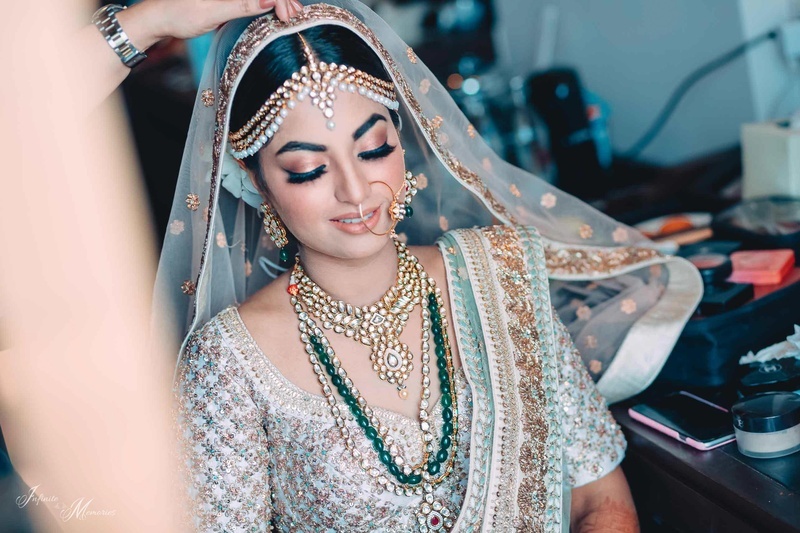 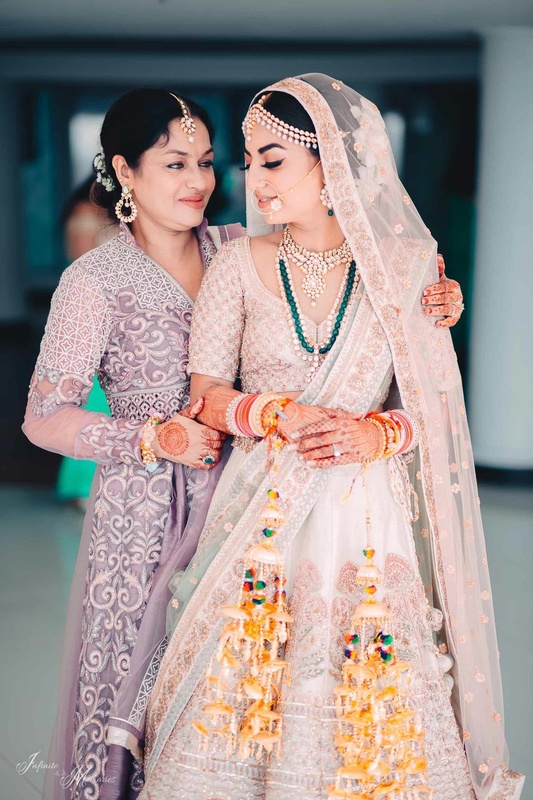 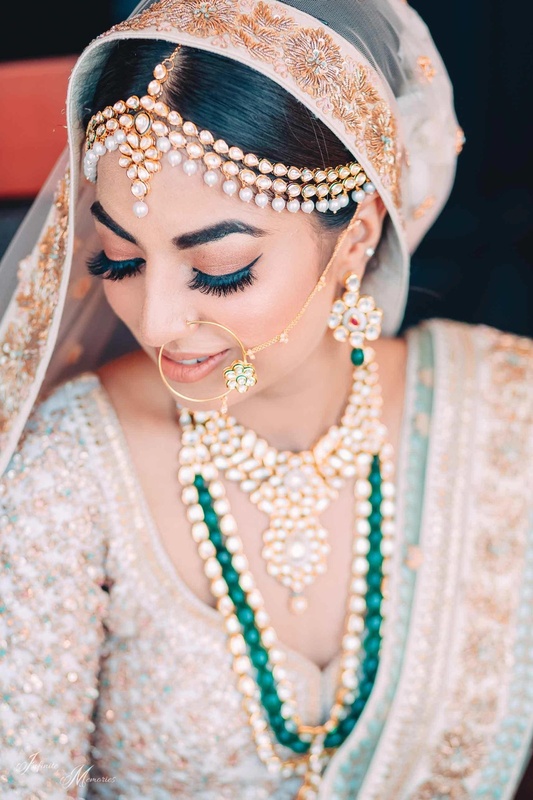 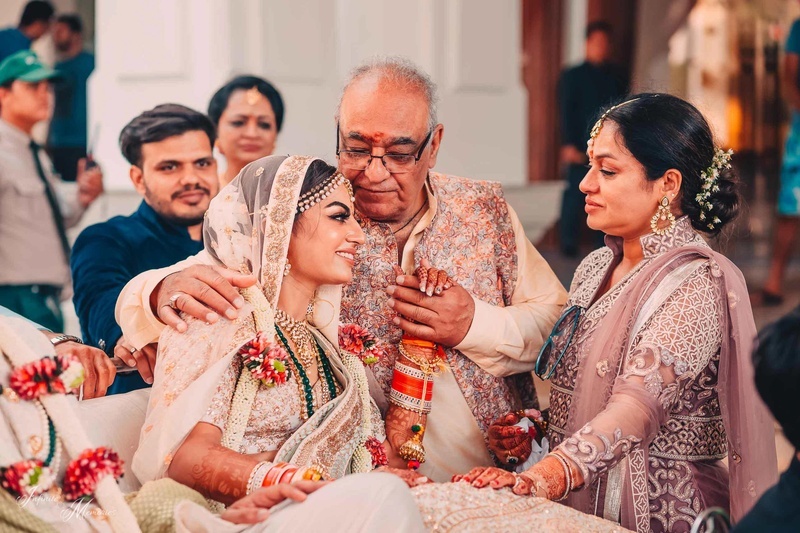 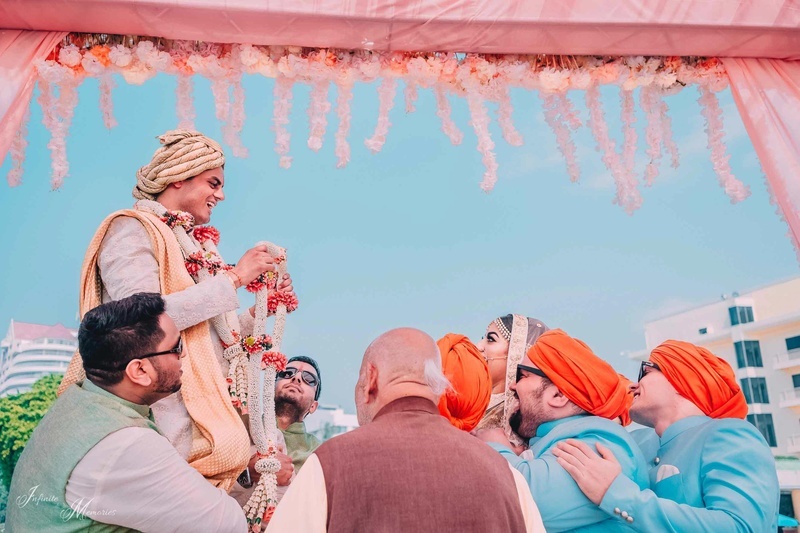 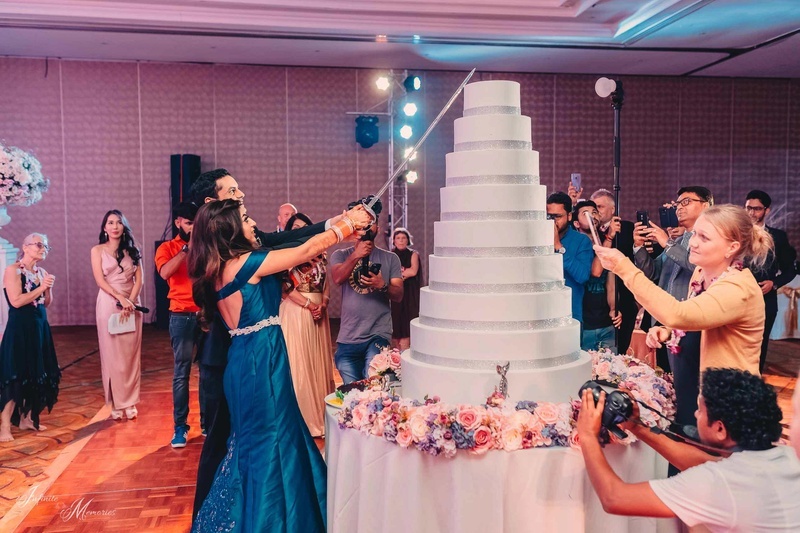 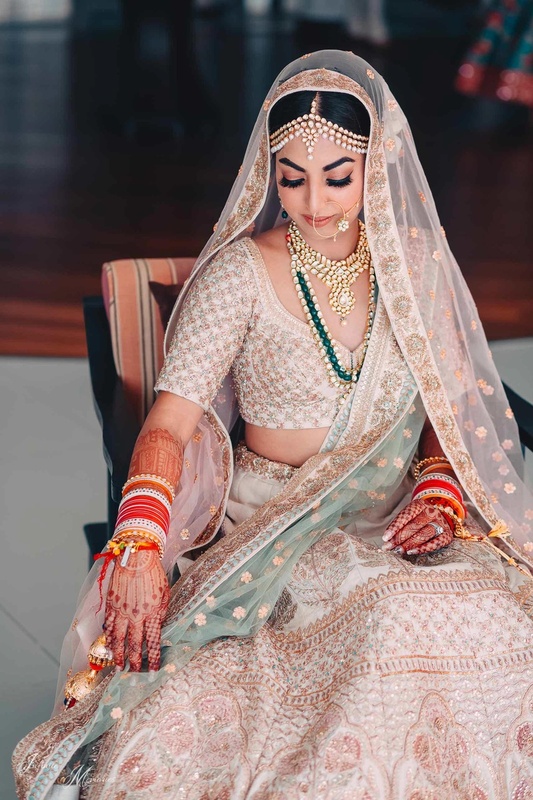 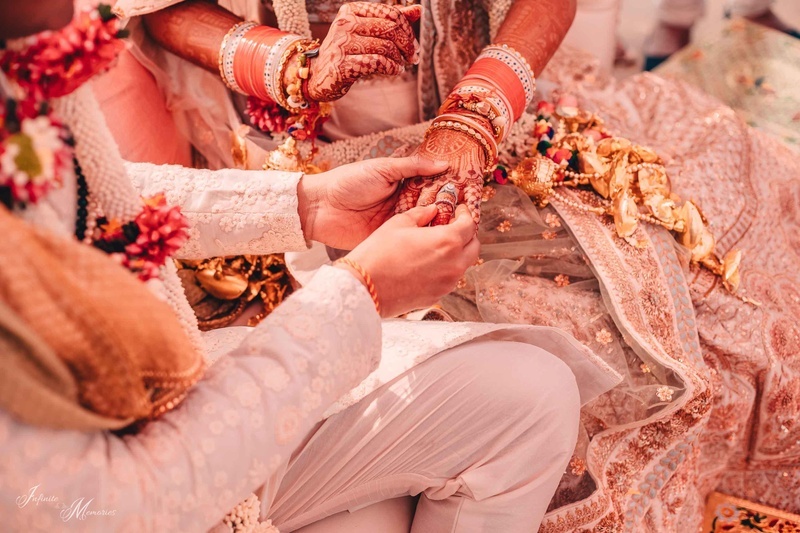 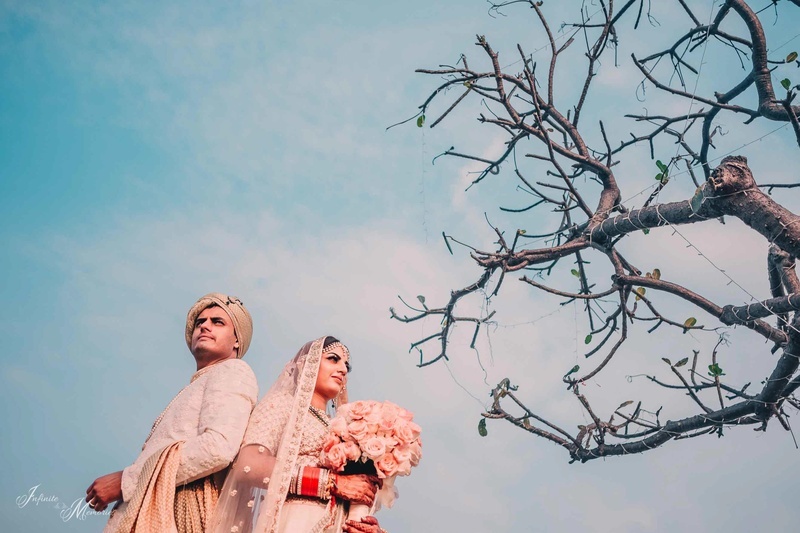 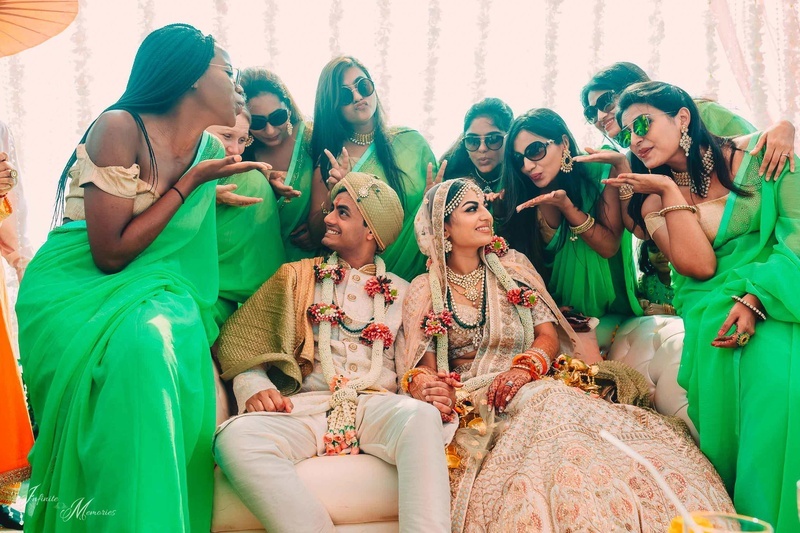 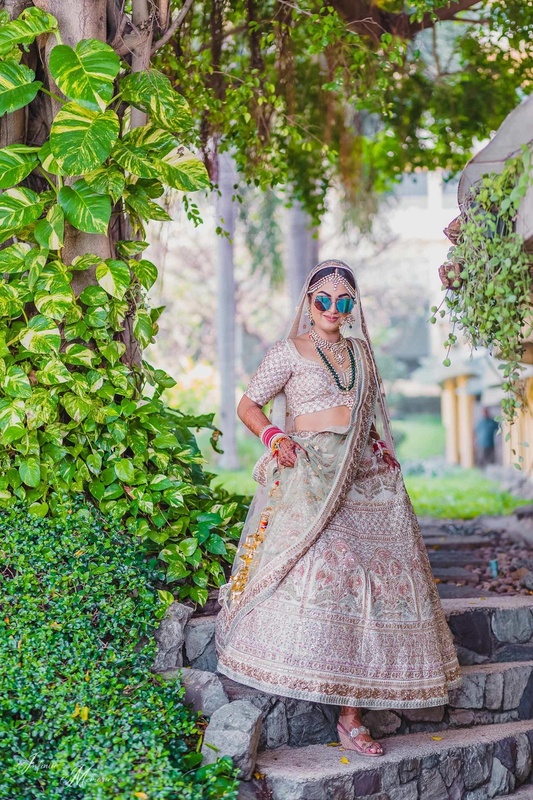 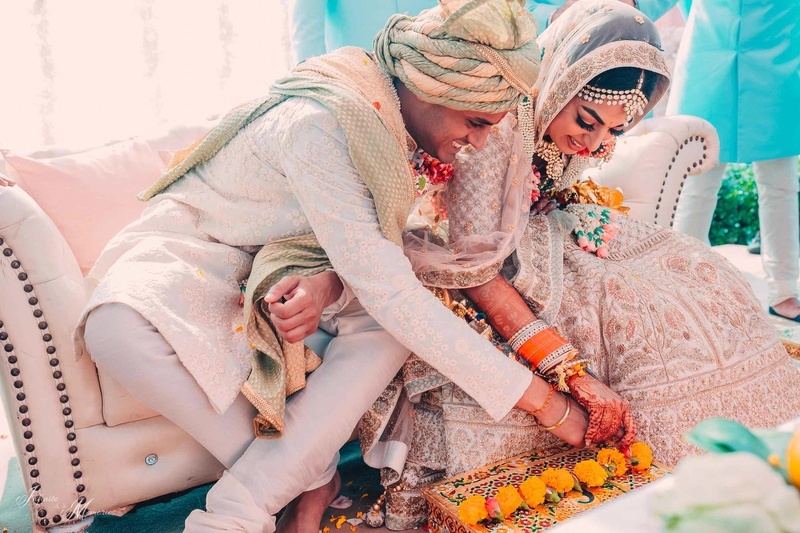 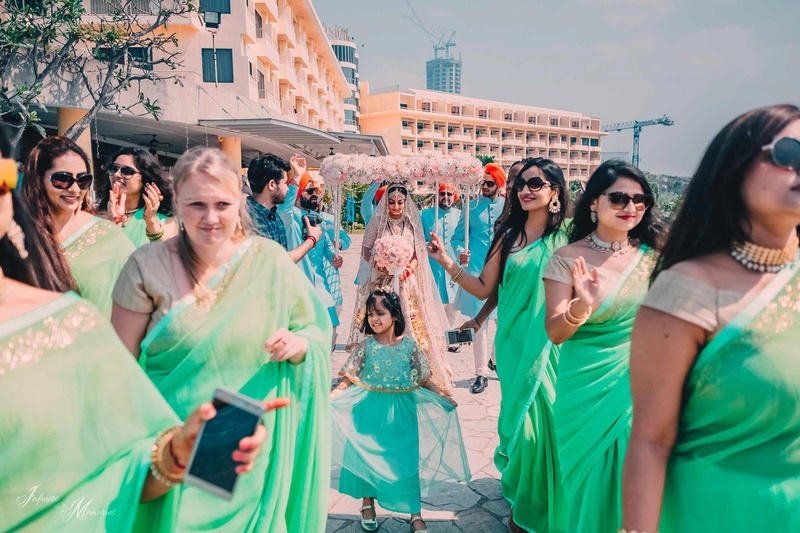 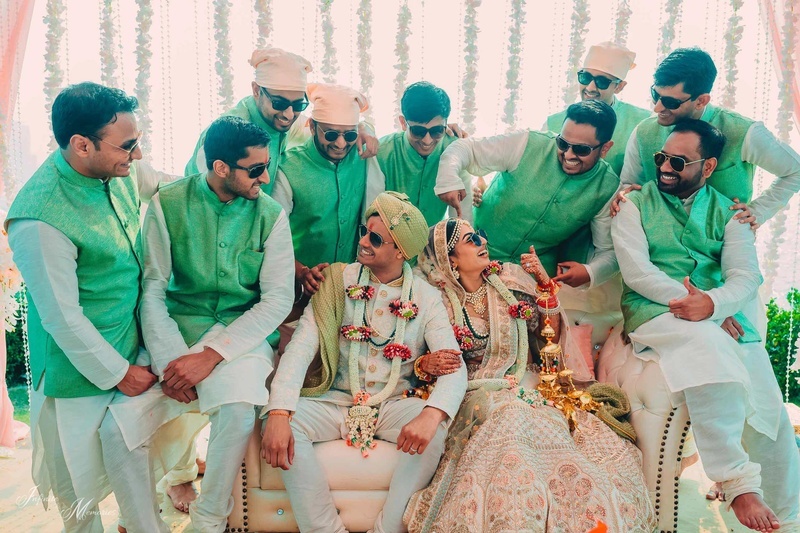 Simi and Ketur just tied the knot in a beautiful Pattaya, Thailand wedding, with the mandap overlooking the ocean and a bridal entry that has won the internet! 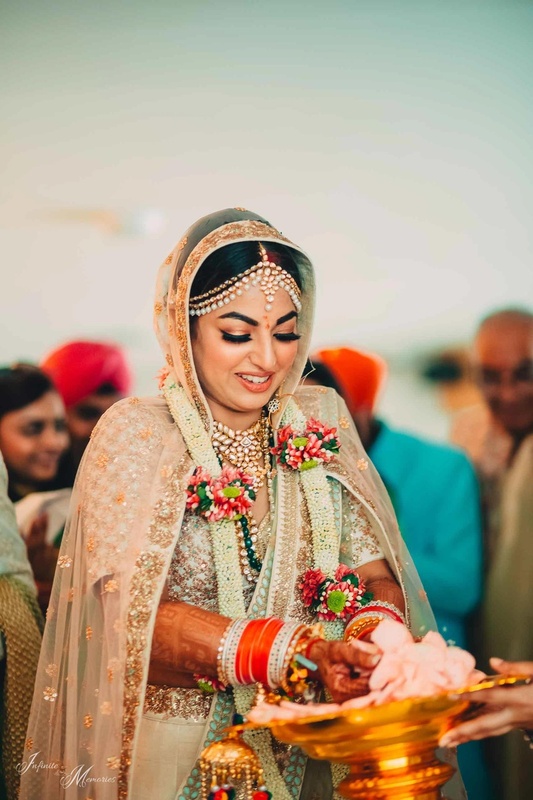 Bride Simi Singh believes that sometimes you have to be at the right place at the right time for magic to happen. 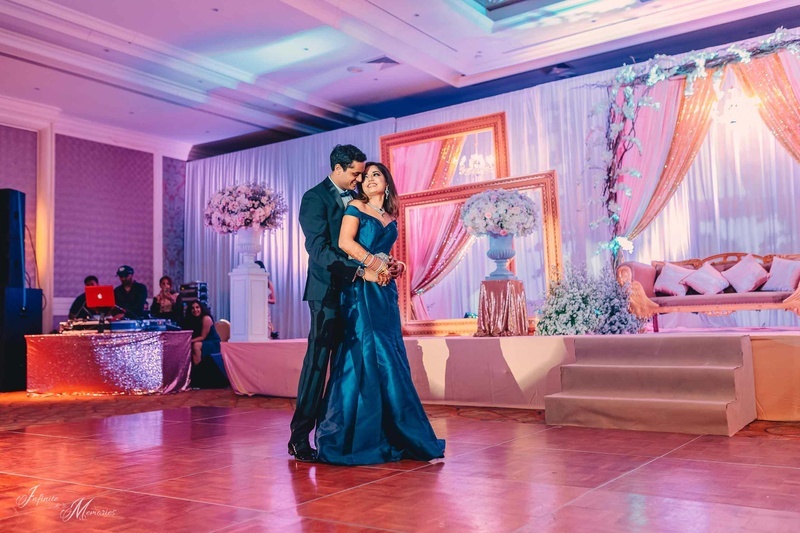 Her chance encounter with Ketur in Miami marked the beginning of a journey of a lifetime. 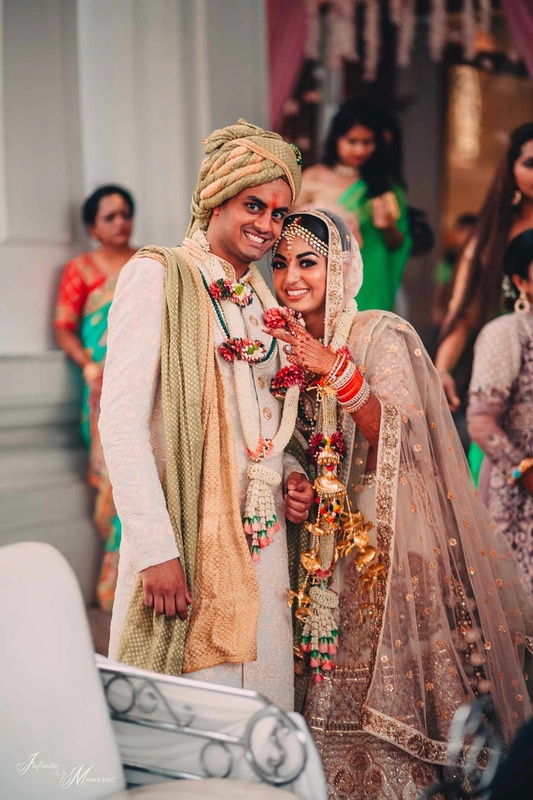 After dating for a while, they realized that getting married was the next natural step in their relationship. 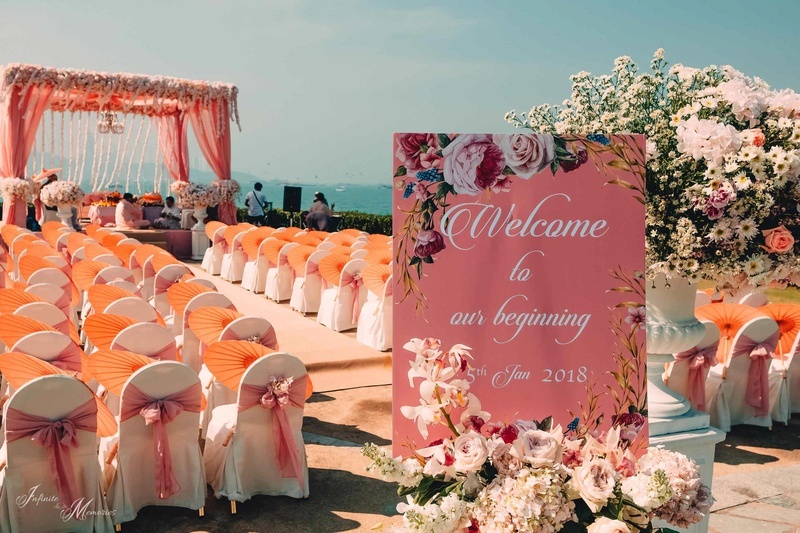 They decided to host a beautiful wedding in gorgeous Pattaya, Thailand. 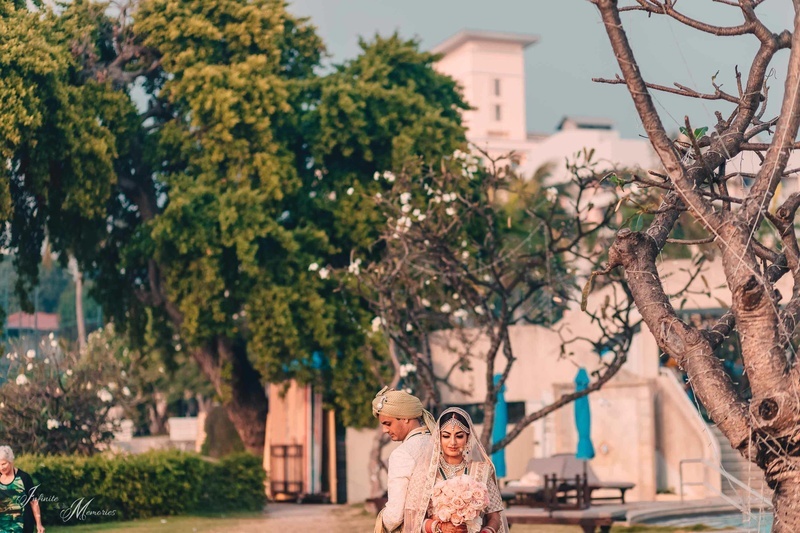 A global love story deserves a destination wedding! 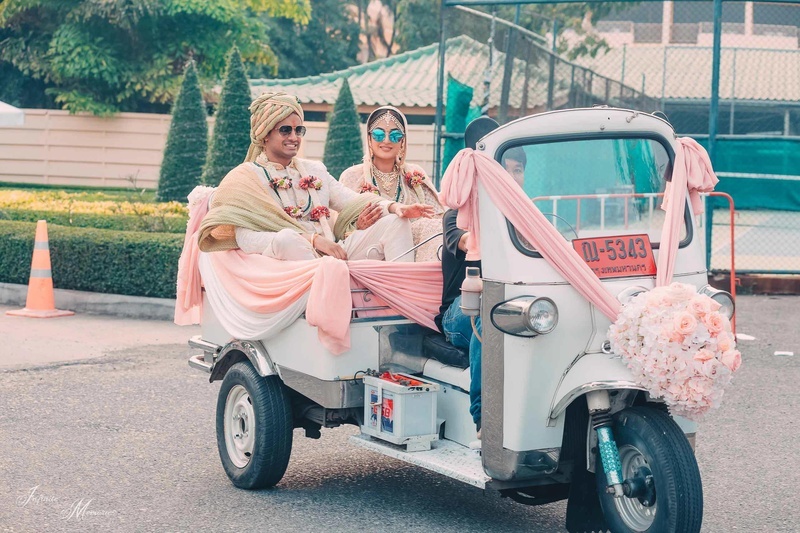 When asked about their international favorite choice of Thailand, the couple said, "“As our families are spread all over the world, we thought Thailand would be the most suitable location for all of us. 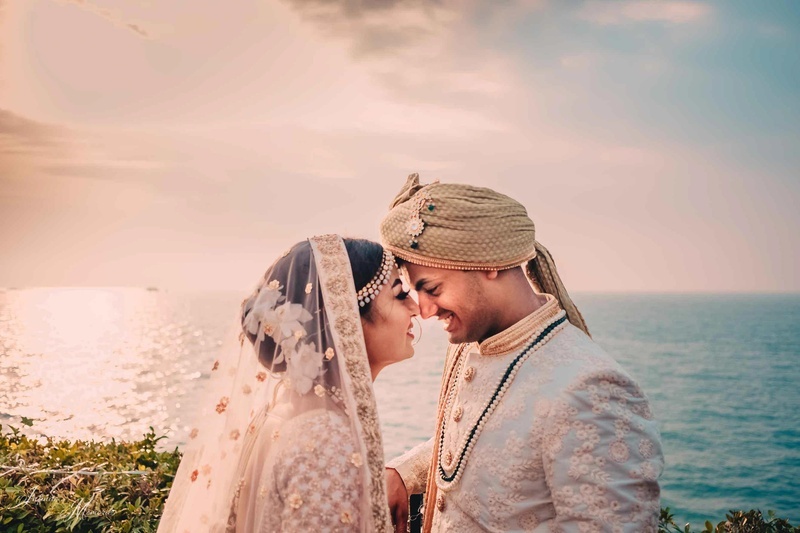 We wanted an intimate wedding with only close relatives and were looking for a place with a holiday vibe with sunny skies, fresh ocean breeze, and powder-soft sandy beaches. 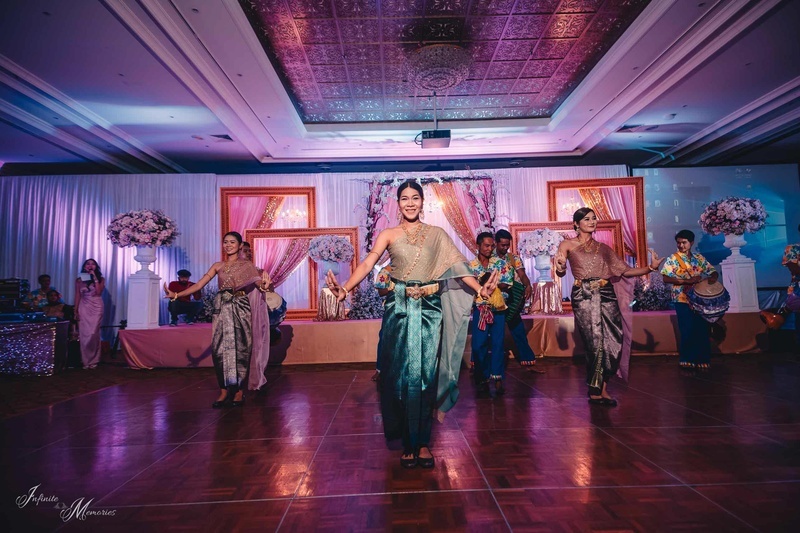 The hotel also has immense experience managing Indian weddings which also was a big plus. 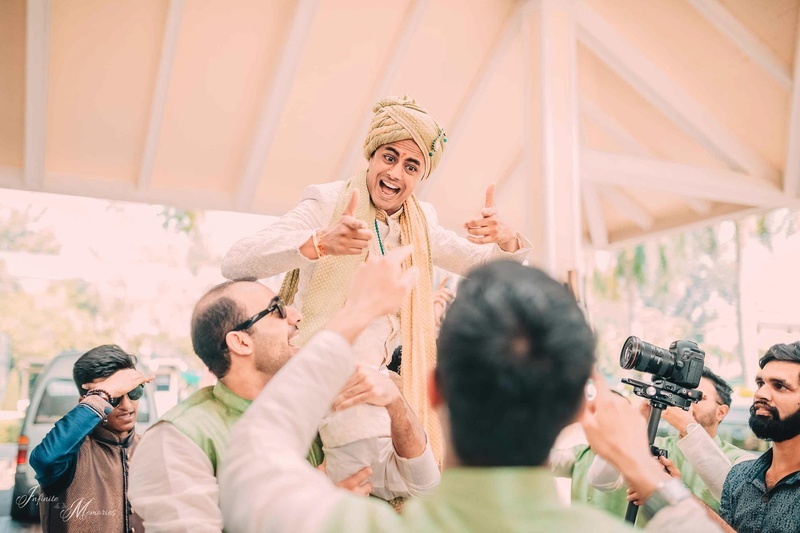 The Indian chef at the hotel was very accommodating and did a fabulous job catering to the guests at our wedding." 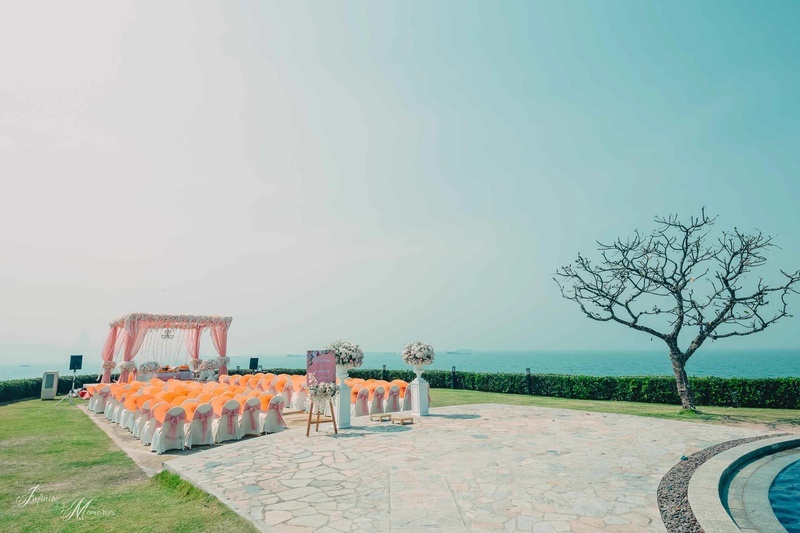 Planning a wedding in sunny Pattaya, overlooking the ocean seams like a dream. 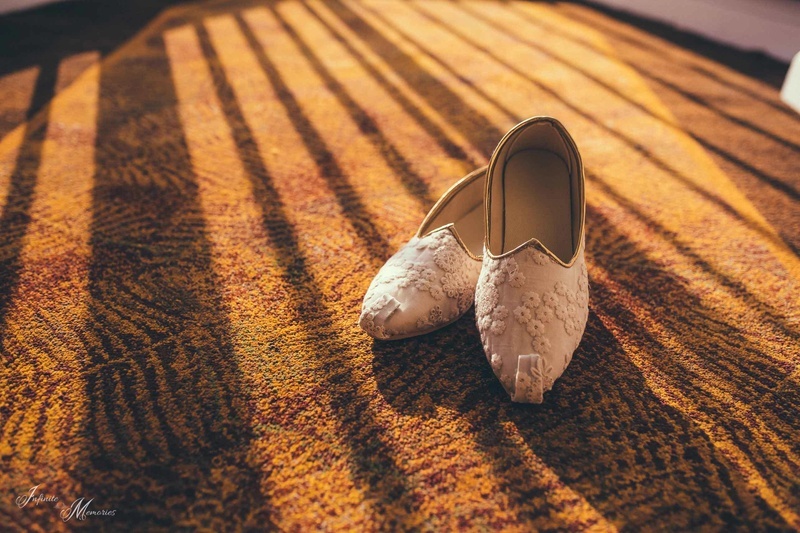 However, it's quite easy to go wrong, especially if you don't overlook the tiny details! 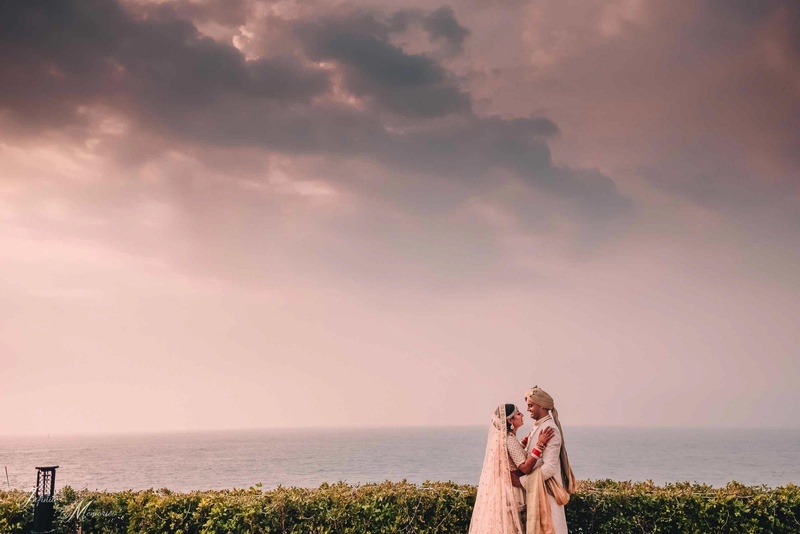 “Our mandap was set up at a spot that overlooked the ocean, and the whole setup was straight out of a dream. 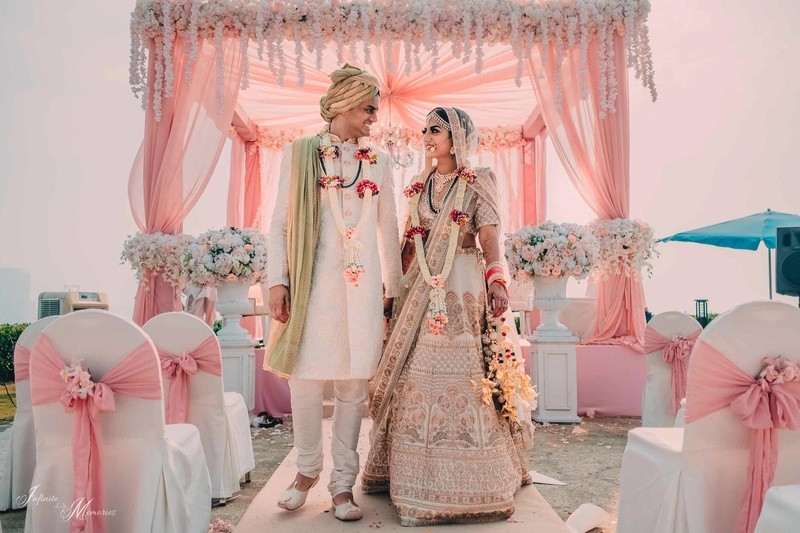 We avoided anything flashy and went with a subtle palette that included peach and white as the key colors of the drapes, furniture, and flowers. 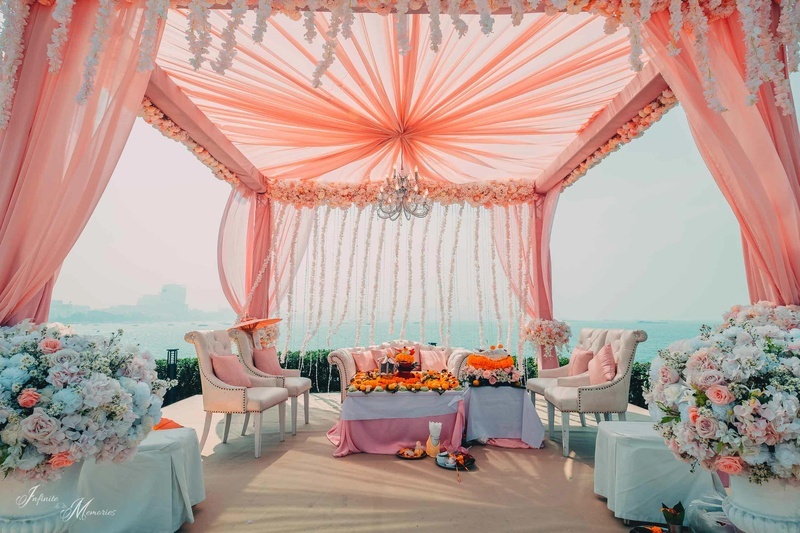 Since this was a daytime event, it was suggested to us to have a gazebo for the guests to sit under. 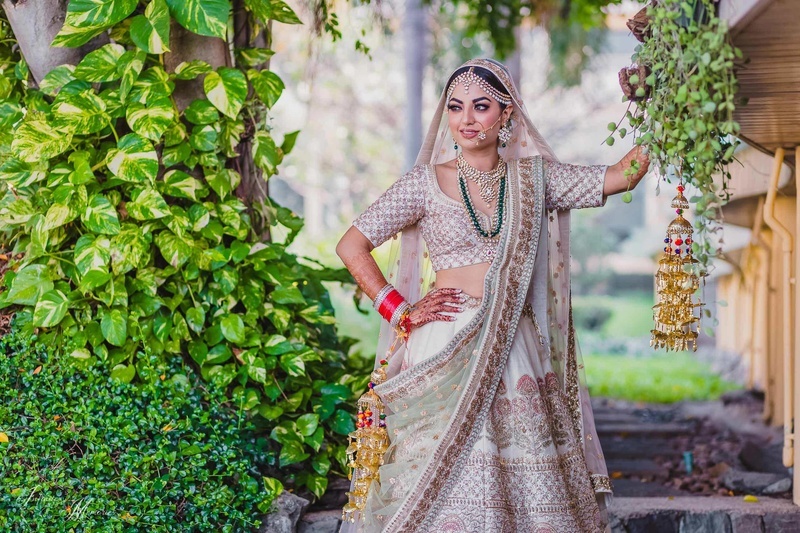 However, we didn’t want to take the natural beauty away from the place. 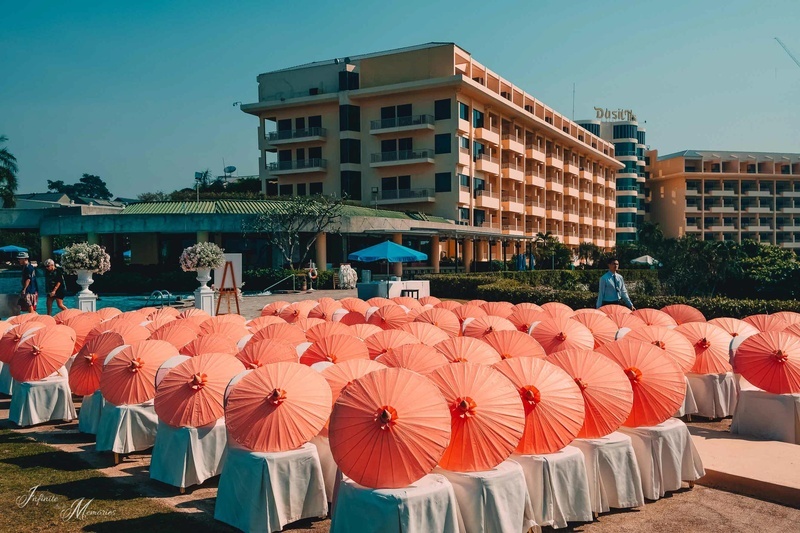 We did a little bit of research on other alternatives and finally decided to give each one of our guests a paper parasol. 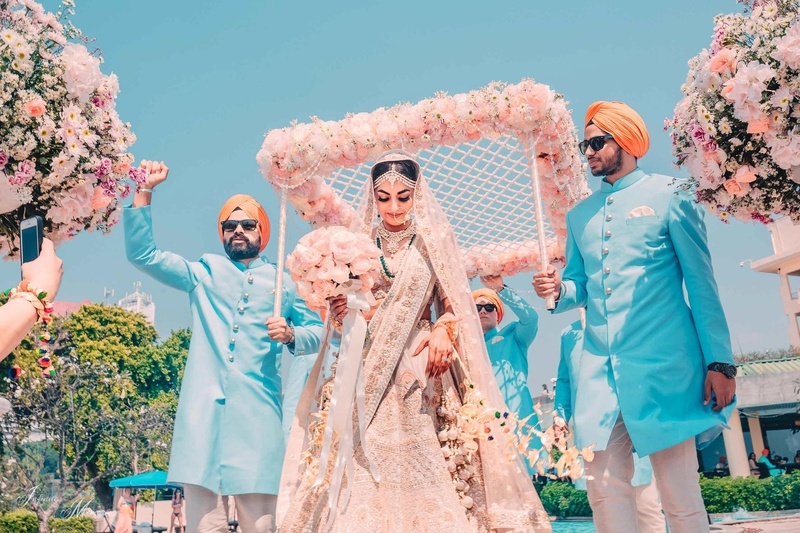 They were lightweight, so nobody felt weighed down at any point. 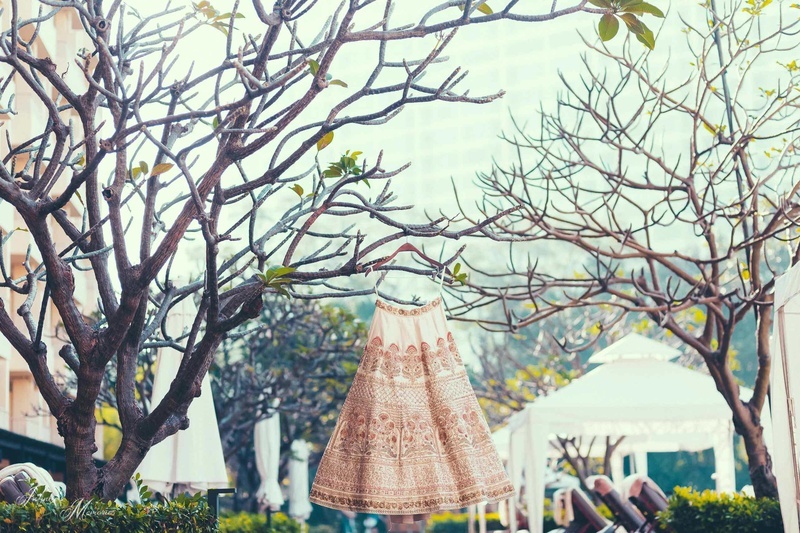 Plus, the parasols offered protection from the sun and also doubled up as great decor elements!” says Simi. 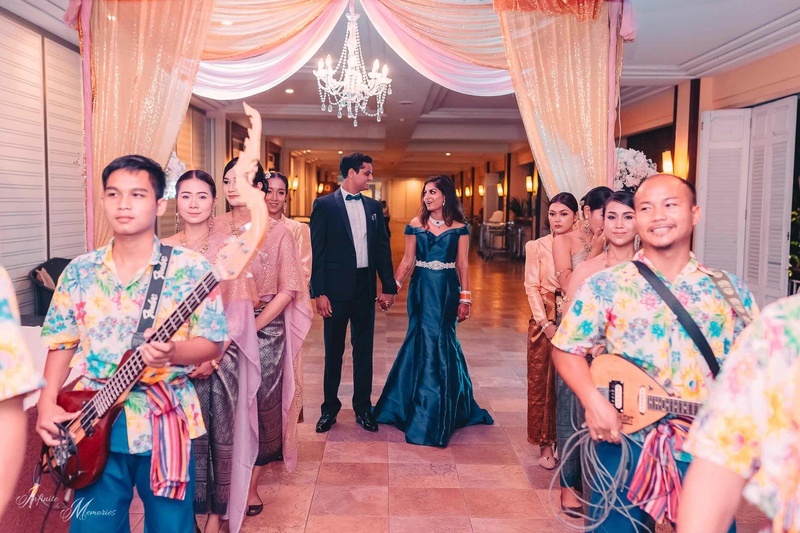 Check out this lovely wedding from Pattaya, shot by Infinite Memories, that has given us decor goals for the rest of the year!